Vaseline is one of those products I will always love and own! I've used it for years and years and the amount of uses for this stuff is endless, I always have one in my bag! So when there are new pots, scents, colours that come out I always want to get involved and try them out.... and this newbie is no exception! I was browsing the Boots website the other day when I suddenly noticed this - a new Vaseline. A new limited edition Vaseline! So obviously, I had to order it! 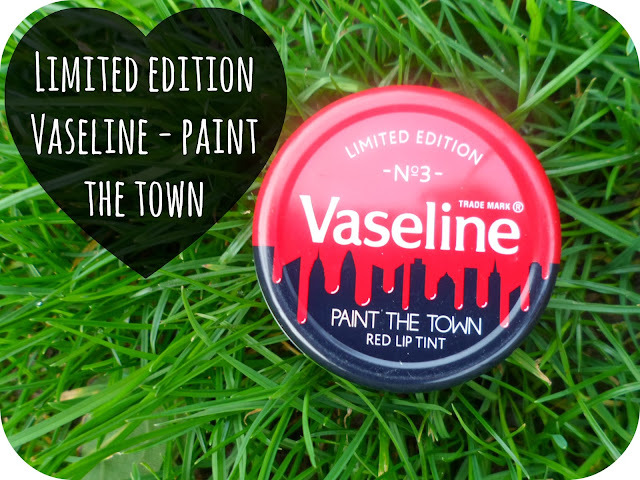 This is the no.3 Limited Edition Vaseline and it is called Paint The Town. 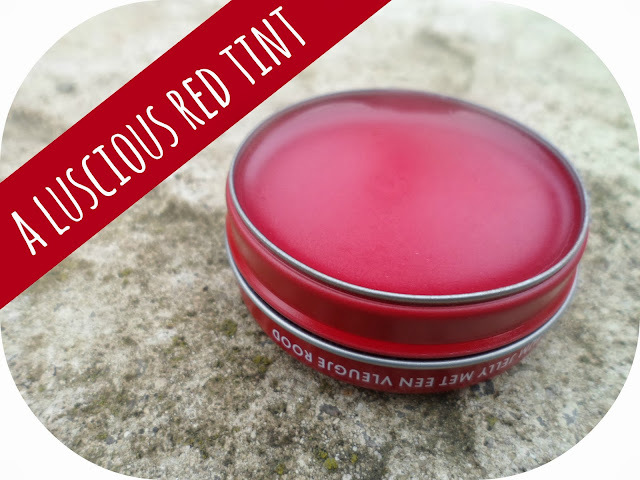 It is your usual yummy Vaseline but with a gorgeous red tint for a bit of extra glam! Now in the tin this stuff looks super bright and a real deep red BUT putting it on your lips is a different story! It is a very very sheer red - which makes it great for anyone.... especially those who find a bold lip a little nerve-wracking! Like having your usual Vaseline feel but with a tiny bit of glam! Saying that though there is something which is majorly different..... the scent. The scent of this stuff is incredible! Like sweets, I cannot explain how much I love it, I can't stop sniffing it everytime I get the chance! I urge you just to go and have a look at this just too have a sniff! By far the best Vaeline scent yet in my opinion! These pots are £3.49 each and I'm guessing are going to be in most Boots stores (and most likely others too) over the next couple of months! If you are a Vaseline lover like myself I highly recommend it, especially with all this cold weather we are having - avoiding chapped lips AND look cute whilst smelling amazing? - deal! 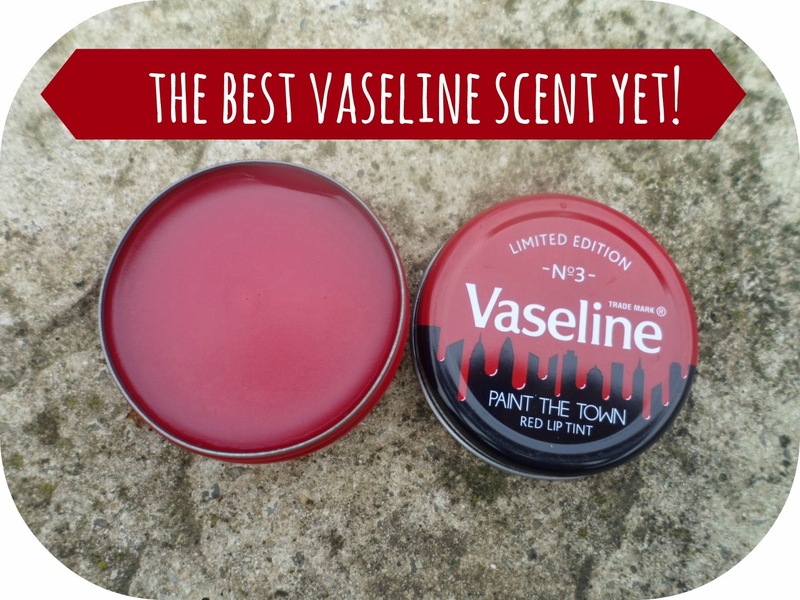 Are you a Vaseline lover like myself? Which is your favourite Vaseline? Might just have to go buy this! I like my Vaseline a lot but have started picking up my BabyLips more recently! This looks amazing! I loveeeeeeeee the Classic Vaseline! Wow - I love lip balms! Especially Vaseline ones; I also always have loads in my bag. Love this post. I just found your blog through twitter and am a new follower, I love your blog name :) This looks so nice! I love the classic vaseline so I love that this has a tint, sadly I don't think this is available in the US though. I love vaseline and love the fact it has a hint of colour to it too! I've spotted these a few times and didn't know whether to grab one, I'm still working on my champagne one! i want one of these.. officially on the hunt for one!